After World War II, as cultural and industry changes were reshaping Hollywood, movie studios shifted some production activities overseas, capitalizing on frozen foreign earnings, cheap labor, and appealing locations. 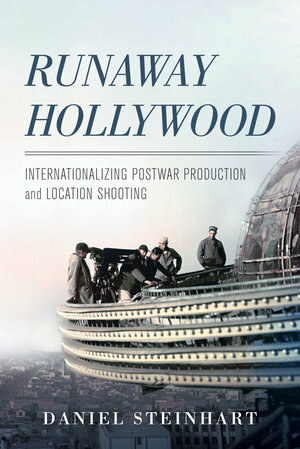 Hollywood unions called the phenomenon “runaway” production to underscore the outsourcing of employment opportunities. Examining this period of transition from the late 1940s to the early 1960s, Runaway Hollywood shows how film companies exported production around the world and the effect this conversion had on industry practices and visual style. In this fascinating account, Daniel Steinhart uses an array of historical materials to trace the industry’s creation of a more international production operation that merged filmmaking practices from Hollywood and abroad to produce movies with a greater global scope.